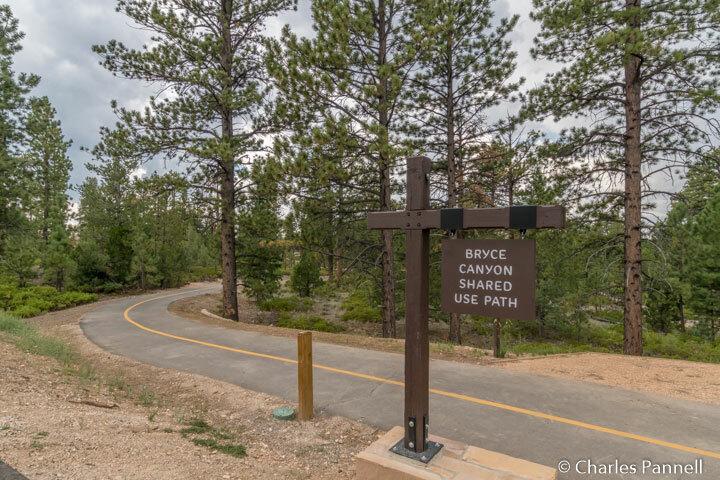 Although the accessible Shared Use Path in Bryce Canyon Nation Park was completed near the end of the 2015 season, it didn’t officially open until May 2016. 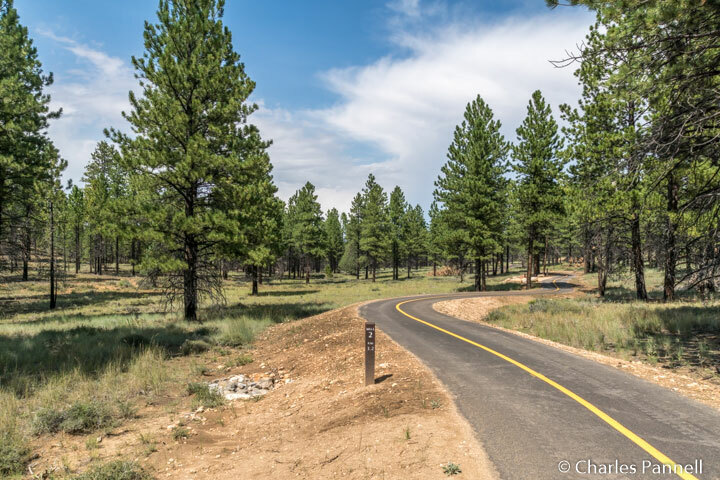 This multiuse trail runs from Inspiration Point in Bryce Canyon National Park down to the shuttle staging area in Bryce Canyon City, and continues on to the Red Canyon Bicycle Trail. 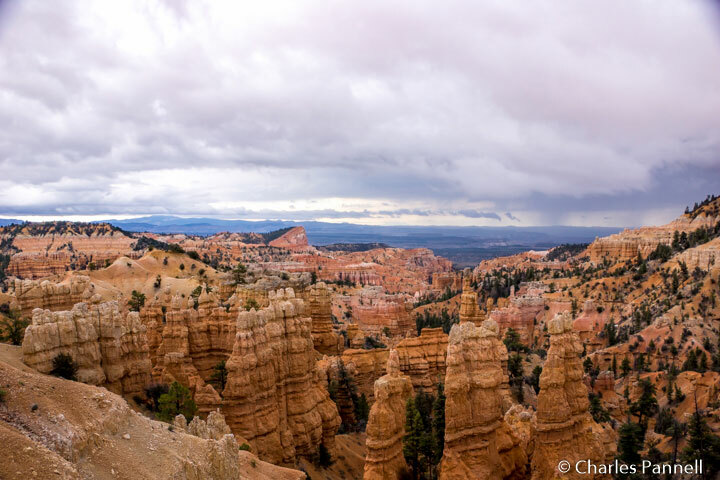 And the good news is, the entire five-mile section of the trail that lies on national park and national forest land — from Inspiration Point to Bryce Canyon City — was constructed to be wheelchair-accessible. This ambitious project was many years in the works, but the end result is a paved trail with only a 6% or less grade, which is ideal for wheelchairs, scooters, handcycles and even your own two feet. Although parts of the trail go uphill, it’s always within the 6% grade, and there are plenty of places to stop and rest along the way. Sometimes the trail follows the main park road, while other times it meanders off into the forest. It even crosses the road at the Visitor Center and Fairyland Point. It’s far from a straight and level boring trail, and you just can’t beat the scenery along the way. And if you don’t want to do the whole five miles, you can always connect with the wheelchair-accessible park shuttle along the way. From Inspiration Point it’s .7 mile to Sunset Campground, 1.1 miles to Bryce Lodge, 1.5 miles to the General Store and 2.6 miles to the Visitor Center. 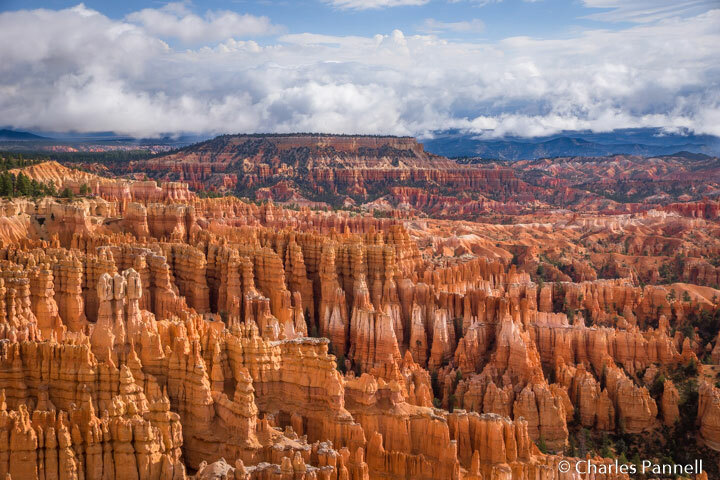 Add in another 2.4-mile trek through the national forest to Bryce Canyon City and you have a very accessible — and scenic — trail. Of course, as with all new projects, there are a few first-year bugs to address. Although they did a great job with providing for drainage in an area subject to massive downpours, there are a few areas which need to be reevaluated in that respect. Still, there were only two areas where mud washed over the trail, and in both cases they were still passable. There are also a few problems with the signage through the national forest section of the trail. Although the large mile markers are correct, the smaller signs that indicate the mileage to Bryce Canyon City are not accurate. On the plus side, that’s a very easy problem to rectify. For the time being though, it’s best to rely on the large mileage markers. Despite these small glitches, it’s still a very nicely done accessible trail — one that will serve all visitors to Bryce Canyon National Park for many years to come.